As per the notice of CBSE Central Board of Secondary Education (CBSE), the CBSE 12th result 2014 for Ajmer, Allahabad, Bhubaneshwar, Panchkula, Patna and Guwahati Regions will be declared on 28 May 2014. The CBSE 12th results 2014 for Chennai and Trivandrum regions have already been announced by the CBSE on 26 May. It must be a very tough time for the students who appeared for the CBSE 12th Examinations held this year in the month of March-April 2014 as the future of their higher studies could be envisaged based on their class 12 results which is to be out soon. Around 9.40 lakhs students are waiting for their CBSE 12th results 2014. Students can check their results after declaration on the CBSE’s official portal or else they can the IVRS and SMS services arranged by the CBSE to chase their results. The CBSE makes such arrangement every year with the help of National Informatics Center, department of information technology, Ministry of communication and Information technology, Govt of India to provide instant and error free excess of the result. 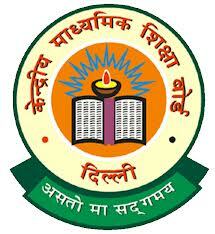 Students can also visit Jagran Josh to get CBSE 12th Results 2014. Click here: https://www.jagranjosh.com/results/2014-cbse-12th-32400 to get to their results at an easy go. In Chennai and Trivandrum regions, the pass percent for CBSE 12th Examinations 2014 has gone up to 94.26. And, the girls with 96.72 pass percent have outperformed the boys (at 91.96 pass rate) in these two regions taken together. In a total of 35638 candidates from Thiruvananthapuram, and 46,441 students from Chennai region appeared for the exams. Last year also the CBSE 12th results were announced on 27 May, in which girls outshined the boys. The girls pass percentage was 87% while that of boys was 77%. The team of jagranjosh.com extends their best wishes to all the students who appeared in the CBSE 12th Exam 2014.